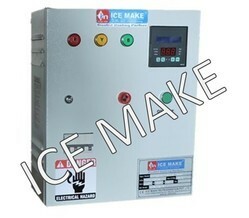 Our range of products include cold room controller and cold room control panel. Bestowed with an ingenious team of designers and advanced production unit, we have been able to introduce an exclusive range of Cold Room Controller. The offered panel is developed in accordance to industry norms and quality parameters. In the offered panel, all the components and material used have been approved and certified by agencies. In addition, this panel can be built and developed according to the specification provided by the clients. Furthermore, our professionals opt for strict quality inspection made on the panel to ensure uninterrupted operation. 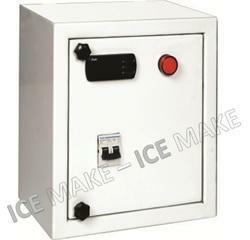 Our organization takes pleasure to introduce its business as one of the leading entity offering Cold Room Control Panel. At our plant, our professionals manufacture the control panel by adhering to industry norms. They also make sure to use quality stainless steel materials and approved components for manufacturing the control panel. Once the panel is ready for operation, our engineers ensure by opting strict quality checks so that the panel offers reliable and high performance to the clients. Furthermore, Clients can opt for custom design and compact design according to business requirements.